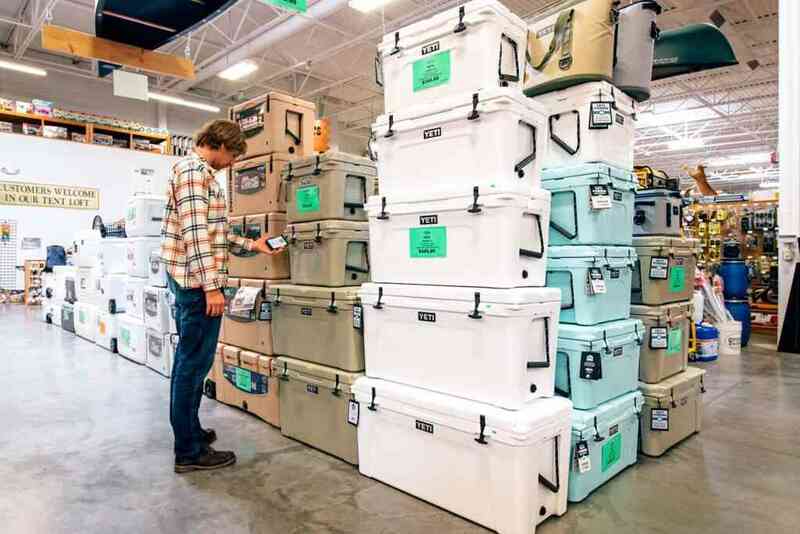 Yeti Wheeled coolers? Do you need them? To be honest, nothing is more cumbersome than trying to squeeze everything into one cooler. Even worse, stowing everything thing into an ice chest without smart features like wheels tends to be harder to transport. 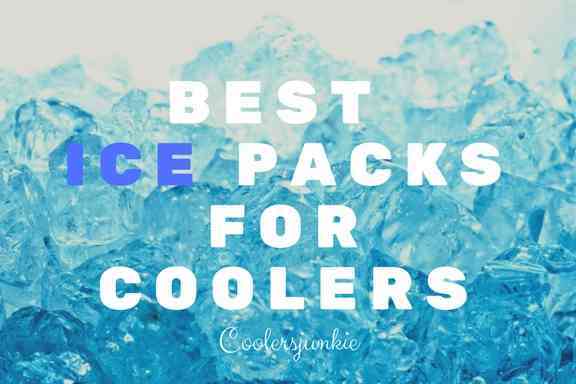 Whether you are a frequent cooler user or not, you don’t want to get stuck trying to lift or lug a cooler which could get in the way of your trip. 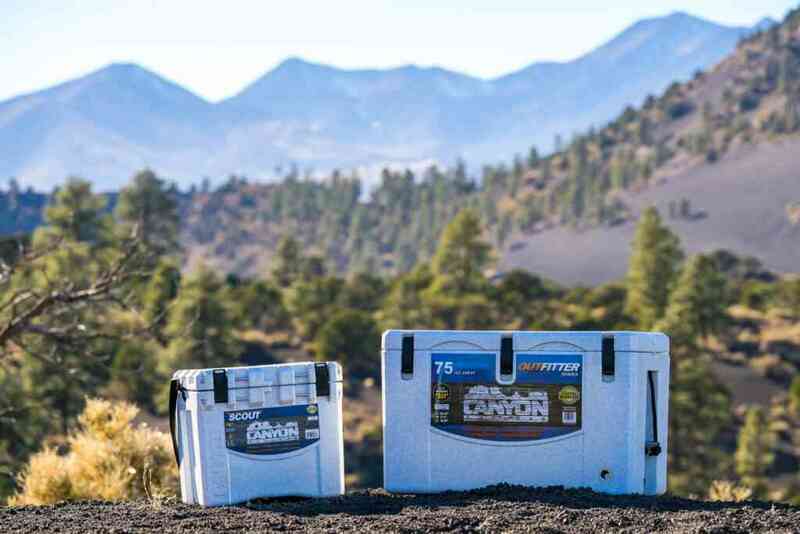 That’s why you need wheeled coolers – with the new custom designed wheels for your cooler, you can as well say Hasta Lavista to hauling large coolers. 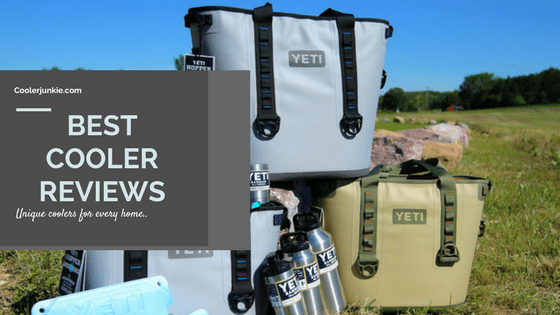 1.5 Yeti Cooler with Wheels – Do You Need It? The products below are proven and tested by real life users. You’ll be delighted to know that the positive reviews outweigh the negatives. Needless to say, we’ve picked the best out of the bunch. The wheels and balance the Rambler X2 provides are exceptional. Ask anyone who has ever used this wheel system – they’ll tell you it’s the best all-terrain wheels for Yeti coolers. In fact, it carries from 50 to the 125 Yeti Model. As tough as the Yeti build is, the wheel component is its league of strength. Dragging a cooler through rugged terrains has never been easier, the 8 inches wide wheels take care of all those troubles. Two axle wheels set the rambler as a fit for the most mysterious terrains. It also comes with a telescoping switch-grip handle – it can be attached to the molded in handles, this helps reduce the strain on the back, helping you to wheel the cooler with less effort. The Rambler has integrated tie-down slots to help secure the cooler in place; even a rough ride is not enough to displace the cooler from the rambler. 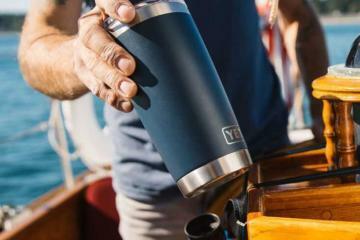 Although customized, Yeti fits into the rambler as though it’s a match made in heaven. There’s no need to take off the Yeti as it doesn’t come in the way of the drain plug. Of course, it’s not. The wheels can get a bit corroded and might be hard to wheel, however, applying a grease could make things straight here. Aside from that, it’s straightforward to install and start wheeling your ice chest around in no time. The badger wheels combo utilizes a two axel mechanism (4 wheels) to enable smooth movements; it also increases maneuverability and mobility. Wheels used on the badger are heavy duty, but not as strong as the Rambler above. Made of marine grade stainless steel making it corrosion resistant, it’ll never run out of fashion. Durability is assured here. Additionally, it comes with a pole telescoping handles which some users complained to be cumbersome when pulling or pushing. Two locking plates, and bolts secure the cooler, and it would be good to lay down your fears of the cooler failing off, cause it won’t. Interestingly, the badger is adjustable and could carry from Tundra 35 – 125 models. As if that’s not enough, the system could carry up to 500lbs; this means it could hold all your drinks, beverages, you name it. Stainless still rocks! But what of rubber. Well, all the wheels we’ve reviewed are stainless, the mighty max is the only rubberized built wheels, and guess what? It doesn’t disappoint. Because it is rubber, there’s no chance it will get rusty, so you need not fear the perils of exposing it to water as you would it if were made of metal. It carries up to 400 pounds, and weighs about 22 pounds. The rubber tire is extremely durable – it is the match for all kinds of terrains. You’ll also appreciate the mighty max, not only does it carry coolers but could also serve as a cart to carry some heavy equipment. Adjustable size is one of the highlights of the cart; it can easily be folded to a compact size and stowed in the trunk of a car. Overall, washing stainless still is not an idea you’d welcome, but the rubber build of the might max cart ensures you can rinse the parts in water to keep it squeaky clean. The cooler carrier wagon comes with colored wheels; black, yellow and blue. The flatbed here is adjustable – whether a cooler is small or large, you could quickly set it up to the size you’d like the cooler to hold. Extra accessories such as 24” bungee cords to hold down the cooler, tool rack attack meant to keep items such as fishing rods is a deal breaker for most buyers. The manufacturers boast of their carts versatility to carry igloo, rtic, Ozark, Grizzly and so on. 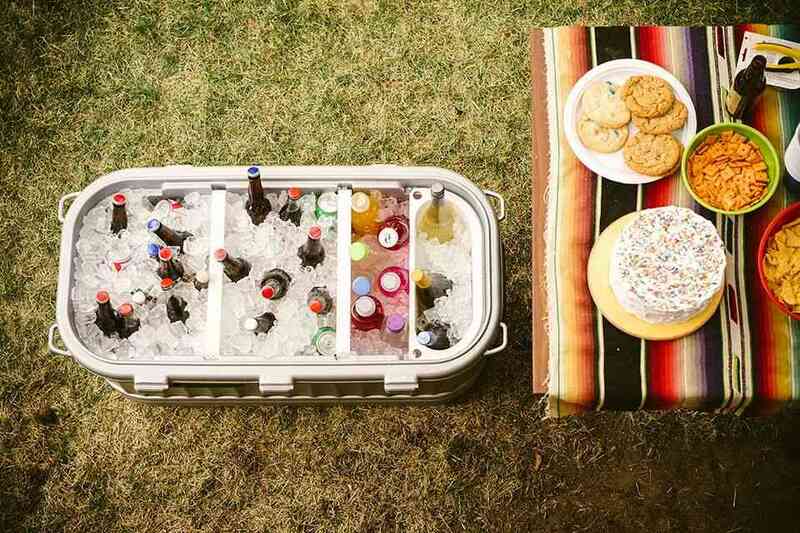 While the cooler is expandable, it could be folded allowing you to take it with you wherever you go. On solid ground, the cart could carry up to 400lbs; however, a sandy ground will carry less weight, so it’s in your interest to carry less, say 60lbs should be the maximum overall weight. 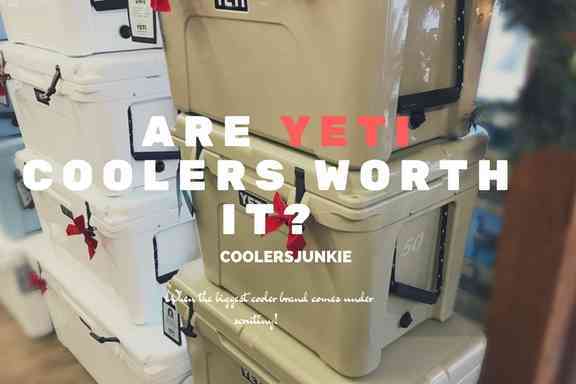 Yeti Cooler with Wheels – Do You Need It? 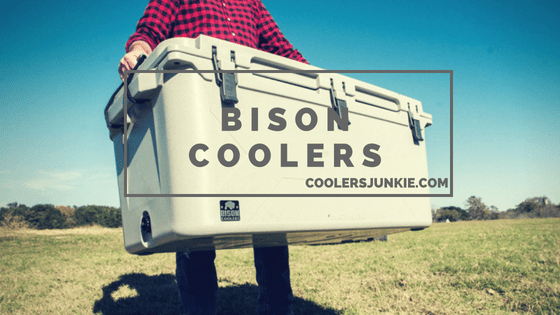 For heavy cooler users who always to stuff as much as their cooler could carry. You ‘ll agree with me that the problem is not just about the cooler capacity but the aftermath of filling it is. 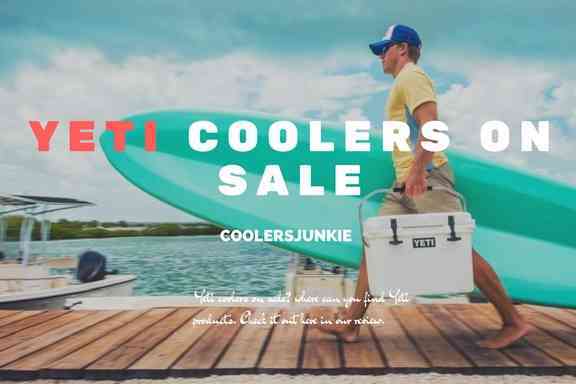 If you don’t want to get worked out hauling a cooler, lie on your back for the next few days, complaining of ache in your joints, or strain from holding the molded handles of your Yeti cooler for hours, calling on a friend that doesn’t want to give a helping hand in carrying the cooler. Since most cooler companies do not integrate wheels to their coolers, you’ll need to find a trusted wheel manufacturer that specializes in creating customized wheels for your ice chest. 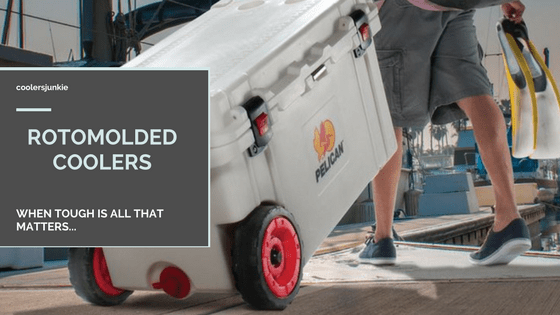 Above, we’ve made mention of the best customized wheeled coolers to help cart as many supplies as you’ll need for a trip without sacrificing space. 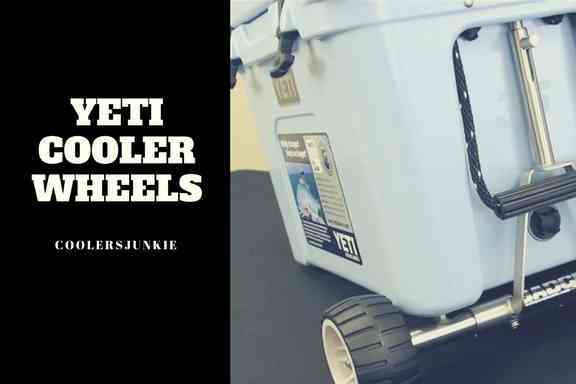 The wheel systems are your best shot at having a Yeti wheeled cooler. The advantages of having a cooler that can be wheeled when it’s filled can save you a lot of stress. As they increase the mobility of coolers, hard terrains wouldn’t be much of a challenge to tread on. Get yourself the best wheels for your cooler and meet me at the beach!.